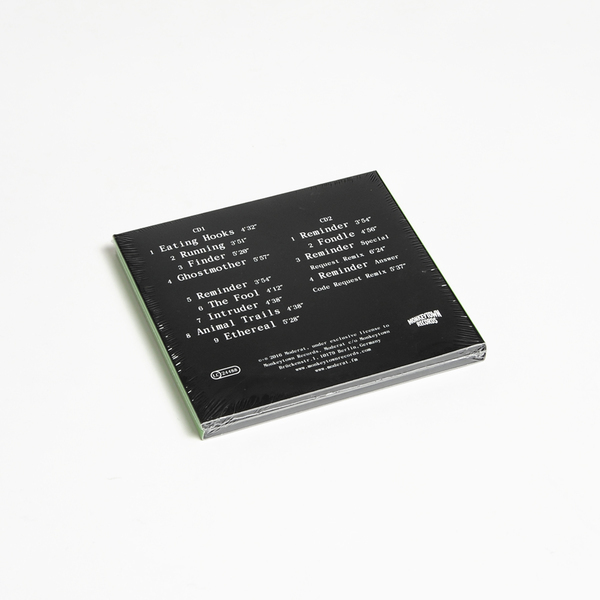 Gernot Bronsert, Sebastian Szary (aka Modeselektor) and Sascha Ring (aka Apparat) have been working together as a trio almost as long as their two separate projects have existed. Ring confesses that Moderat wasn’t »really meant to be a recording act ,« with Bronsert agreeing that, »it was really just about fun.« This maybe explains the six-year break that followed Moderat’s first EP before they finally returned in 2009 with their selftitled debut album. Intent on creating something that contrasted with their own projects, the group started the cycle which blossoms on their second album, aptly titled II, culminating now in the trilogy’s completion, III. 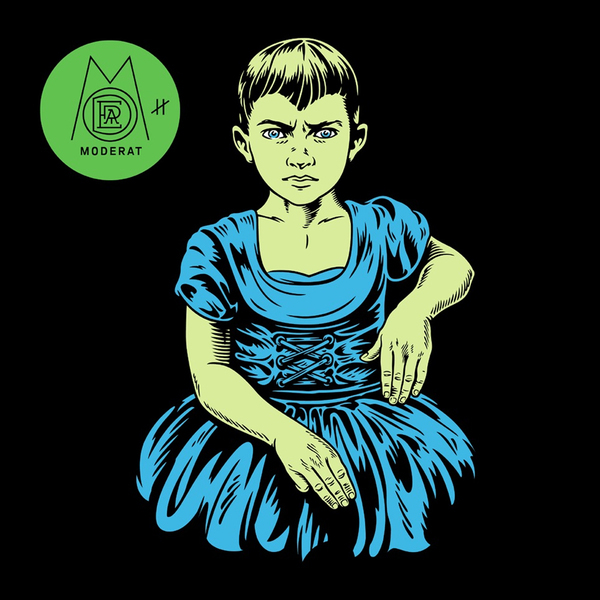 Whereas I was the combination of two separate entities, II brought the members closer together, and in III, the final chapter in the trilogy, Moderat sounds like one band. 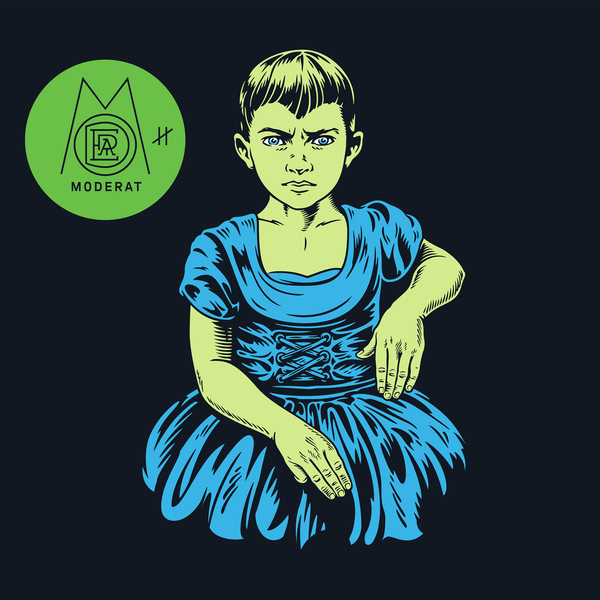 Both Szary and Ring will tell you that Moderat moved progressively from making tracks towards a more traditional writing approach of making songs – a process more fully realized on III. That’s partly why the vocals have become more prominent. Mostly, you hear Ring singing (there are no guests this time), as he so often does as Apparat, but listen closely to »Ghostmother« to hear Bronsert and Szary backing him up. Stepping out of their comfort zone is the kind of thing that helped create their interplay between pop and electronics; doing it right won them the Resident Advisor Best Live Act honor as early as 2009, and they continue to gain popularity while remaining independent and underground. Szary describes the idea behind Moderat as, »imagin[ing] yourself sitting in the cinema and watching a movie with an incredible soundtrack.« This is true with Moderat in general, but III in particular pairs an emotional pull with sensual imagery, creating dynamic sound and depth with lyrics such as »the calming scent of lavender fills the air,« or »burning bridges light my way.« You’d have to ask them whether they’re intending to manipulate the listener in the same way that John Williams or Hans Zimmer might with traditional orchestras. 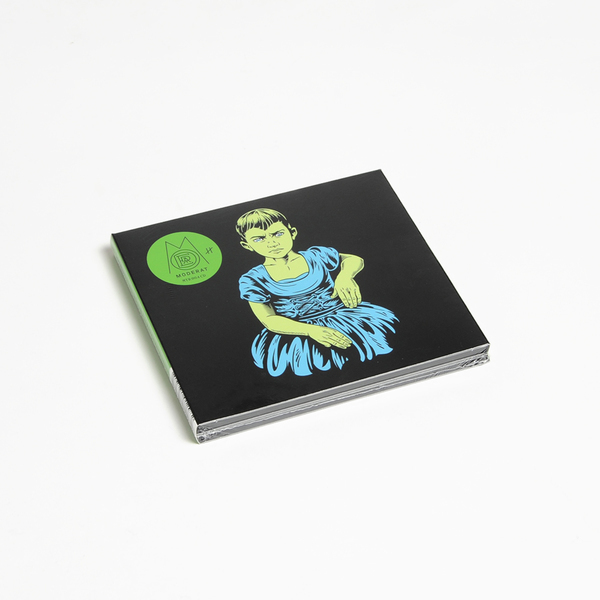 One of the best parts of Moderat is their use of electronics to achieve orchestral diversity. They update the songwriting tradition with an intriguing palette, borne of careful attention and skill, informed by their »experiences with sounds of nearly 25 years of suband club culture."